Do you love the snow? Do you hate the snow? Well, it doesn’t matter if you have kids. Cause they don’t care if you like it or not! The thrill of a snow day eventually wears off and everyone starts to get a little cabin fever. I’ve learned that you gotta be prepared! I’ve been gathering activities I think my kids would like from Pinterest. Check’um out. You’ll thank me for it. And, to make your life even easier – here’s a list of everything you’ll need to survive the storm. Most of the stuff you already have around your house. So there is no excuse! The neighborhood (and dog) favorite around here is the s’more dip. It’s a one and done s’more. stick in the oven til everything begins to melt. 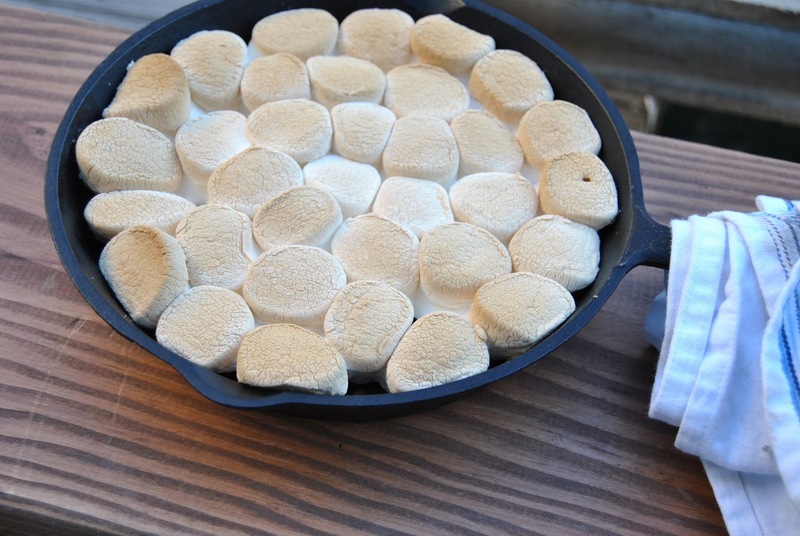 i turn on the broiler for a minute or two at the end to brown the marshmallows. Dig in with graham crackers. You can also create personal s’more stations too. 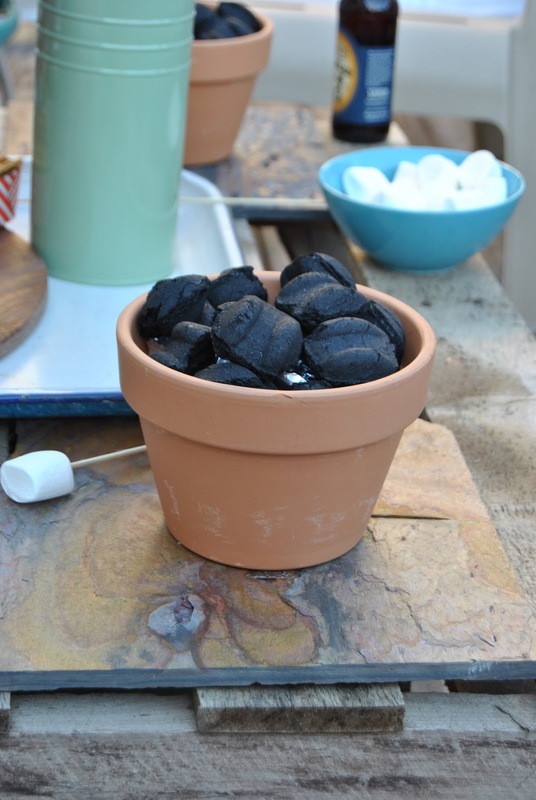 pack the bottom of a terracotta pot with tin foil, add charcoal, light. instant Mother of the Year. « How to Eat healthy During a Snow Storm!